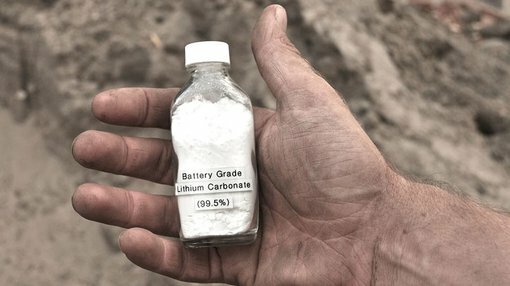 Cobre Montana (ASX:CXB), an Australian-based lithium producer has significantly progressed its intentions to revolutionise the lithium production process in partnership with technology developers Strategic Metallurgy (SM). CXB is currently pursuing a series of projects, some as part of joint-venture (JV) agreements and some independently. The ultimate goal is to cement CXB’s position as a long-term major supplier of lithium into expanding global markets, fuelled by a lithium-ion battery boom. Back in May, CXB successfully raised $919,370 via an oversubscribed capital raising aimed at accelerating CXB’s timeline towards becoming a lithium producer. CXB issued 13,133,863 fully paid ordinary shares at $0.07 per share in a placement to sophisticated and professional investors. The issue was fully subscribed raising $919,370. The added capital is designated for accelerating CXB’s plans including further testing on micas from Lepidolite Hill and preparing for a 2nd round of testing, using lithium-rich tailings from the Cinovec project in conjunction with EMH, as part of a Heads agreement signed in April 2015. CXB’s initial tests are a global first for the hydrometallurgical production of lithium chemicals from mica on a semi-continuous basis. And so far, results have not disappointed. In late May, CXB officially announced the world’s first instance of continuous hydrometallurgical production of lithium carbonate from micas. CXB’s test protocols have demonstrated the ability to produce lithium chemicals from mica without the need for roasting – an expensive, energy-intensive component of existing lithium production. CXB’s approach involves grounding the test ore, digesting it in sulphuric acid, removing impurities and then extracting the lithium carbonate. CXB’s Managing Director Adrian Griffin says, “This achievement is a paradigm shift in lithium processing strategies as it removes the energy intensive roasting step that has made the commercial processing of such materials unachievable in the past. “We could not have wished for a better result”, he added. The decision to focus on the ‘forgotten ore’ has been largely vindicated and CXB’s plans are now to prepare for the next step – to commercialise mica processing as a viable, competitive alternative to traditional lithium production. The next test run will process approximately 400kg of ore to recover as much lithium carbonate as possible for market evaluation. Test material will come from CXB’s joint-venture with Focus Minerals (ASX:FML), in Western Australia. With the new production process, CXB estimates a production cost of less than $2,000 per tonne – a highly competitive price point in the lithium sector where existing producers produce lithium carbonate for around $2,000 – $5,000 per tonne. CXB is also able to compete with cheaper brine producers that have never had the need to go through energy intensive roasting methods. As part of CXB’s numerous partnerships within the lithium industry, the company has decided to extend its Memorandum of Understanding (MOU) agreement signed with Pilbara Minerals (ASX:PLS) by 7 months to December 2015. The extension is attributable to PLS’s JORC upgrade and time allowing for more test work to be done. $86M capped PLS upgraded its JORC 2012 resource from 8.6Mt at 1.01% LiO2 for 87,000 tonnes to 12.73Mt @ 1.42% LiO2 for 182,000 tonnes of contained lithium oxide. CXB’s other Joint Ventures (JV) include a technical alliance with Strategic Metallurgy to commercialise disruptive lithium extraction technology, a non-binding Heads of Agreement with European Metals Holdings (ASX:EMH), a strategic alliance with Pilbara Minerals (ASX:PLS), Focus Minerals (ASX:FML) and Tungsten Mining (ASX:TGN). This is in addition to CXB’s exploration assets near Greenbushes and Ravensthorpe in Western Australia. 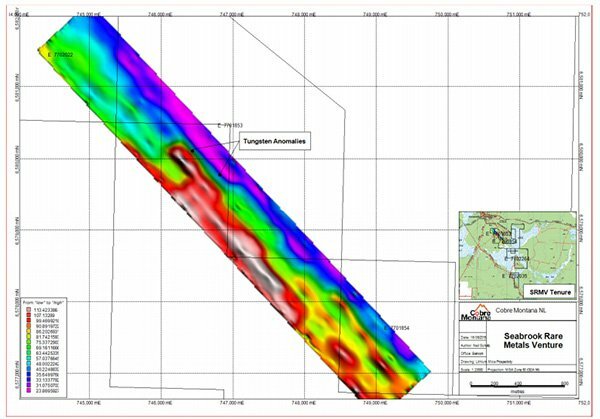 In partnership with technology partner SciAps and their patented LIBZ method, CXB is aggressively working towards not only processing micas in a revolutionary way, but also locating the most lithium-rich mineralisation via cutting-edge geochemical surveys. The SciAps LIBZ technique increases the accuracy of prospective drilling and accurately estimates the best zones of lithium mineralisation below the surface. Initial results were obtained from a blind test on an area of prospective lithium mineralisation at CXB’s Seabrook project, 60km northeast of Southern Cross, midway between Perth and Kalgoorlie. CXB has developed a geochemical algorithm that generates a ‘heat map’ of prospectivity (shown above). The heat map indicates the relative intensity of certain geochemical indicators which can be used to locate LCT pegmatites and in turn, mineralising fluids which often accompany high grade lithium mineralisation. Use of the SciAps LIBZ method is adding further value to CXB’s exploration and sets the stage for CXB to improve its lithium oxide extraction rate going forward. CXB’s second round of test samples was officially collated and submitted for evaluation in late June of this year. A bulk sample of 400kg of zinnwaldite was collected and submitted for market evaluation to Strategic Metallurgy mini-plant in Perth. Test work on these samples is expected to be completed in Q4 2015. Zinnwaldite typically contains 3% lithium oxide and is the predominant mica at Cinovec, Czech Republic, accounting for 20-30% of EMH’s total deposit. The predominance of zinnwaldite at Cinovec makes this second round of sampling all the more crucial for CXB. If CXB exhibits positive results from the latest bulk sample, it could allow both EMH and CXB to expand their operational capacities including an enlarged resource, based on lithium mica processing technology. In addition to publishing breakthrough test results and moving forward with exploration, CXB has also taken the step of exercising its pre-agreed exclusivity option with Strategic Metallurgy, more than a year earlier than expected. The exclusivity option gives CXB a conditional 25 year exclusivity period in Western Australia and full exclusivity at two other locations outside Australia. CXB will also be able to extend its exclusivity periods by 20 years if CXB commits to building a plant anywhere in the world during the next 5 years. In exchange for this, CXB must continue working exclusively with Strategic Metallurgy for all its testing and must pay a 2% gross product royalty to its technological ally. The arrangement effectively gives CXB exclusive first rights to utilise Strategic Metallurgy’s technology globally and potentially become the front-runner in Western Australia for the next 25 years and more. With Western Australia supplying about 30% of existing global lithium production, there is potential for CXB to take-up a dominant role in Australia’s lithium production industry. In order to better communicate the company’s business plans, CXB’s shareholders are expected to vote on a proposed name change for the company from ‘Cobre Montana’ to ‘Lithium Australia’ on July 15th 2015.